As the Eastern United States is being hit with a winter storm bringing with it snow, high winds, and freezing winter temperatures, the safety of our drivers and the driving public is at the forefront. 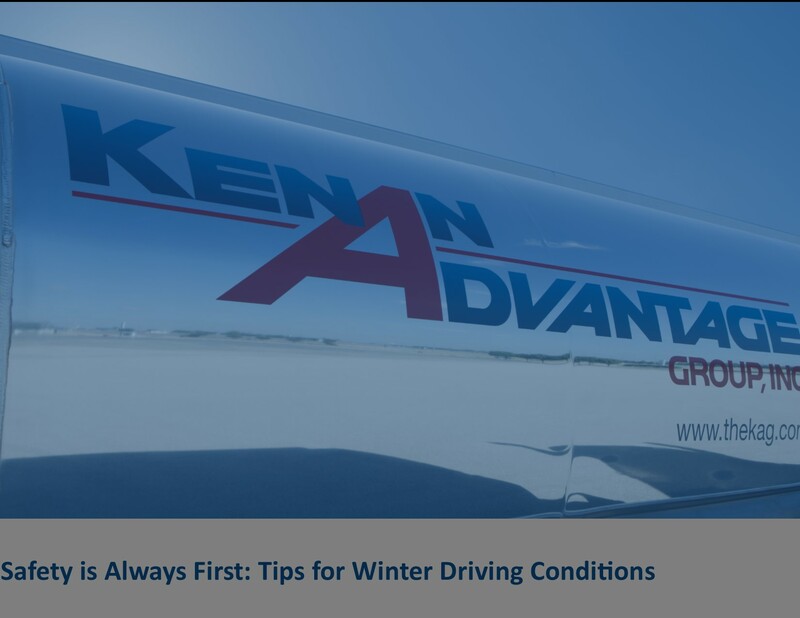 Along with American Trucking Associations (ATA) and America’s Road Team Captains here are some critical saftey tips for driving in wintry weather. Stock your vehicle with basic travel needs such as blankets, water and snacks. Remove snow and ice from your vehicle to ensure maximum visibility. Slow down: Chances of a crash nearly triple when driving faster than surrounding traffic. Leave early: Give yourself extra time as road conditions may change due to inclement weather or traffic congestion. Be aware of truck blind spots: Pass on the left where the truck’s blind spot is much smaller. Do not cut in front of large trucks: Trucks are heavier and take longer to make a complete stop, so avoid cutting quickly in front of them. Keep your eyes on the road: Distracted driving is a major cause of traffic accidents. Phones and other technology should not be operated while driving. Buckle up. A safety belt won’t prevent a collision, but it will save a life. While these are only a few precautions to keep in mind, remember to be aware and be prepared.